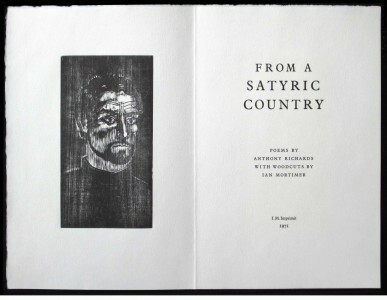 Poems by Anthony Richards with ten woodcuts by Ian Mortimer. 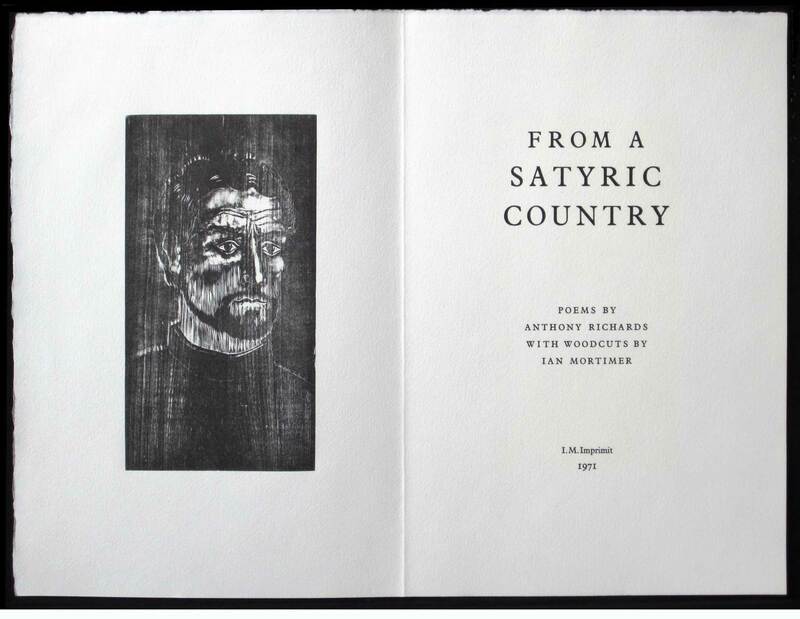 The first book produced at the Press. Text: 14pt Plantin; since text type had not yet been acquired at the Press, the text was set and printed by Ron King at the Circle Press, Guildford. 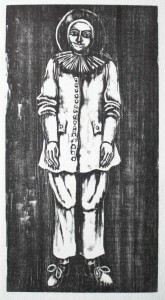 Woodcuts printed from the original blocks by the artist; J. Green 72lb mould-made paper. 292mm × 194mm; unstitched in fitted case lined in blue Japanese paper. 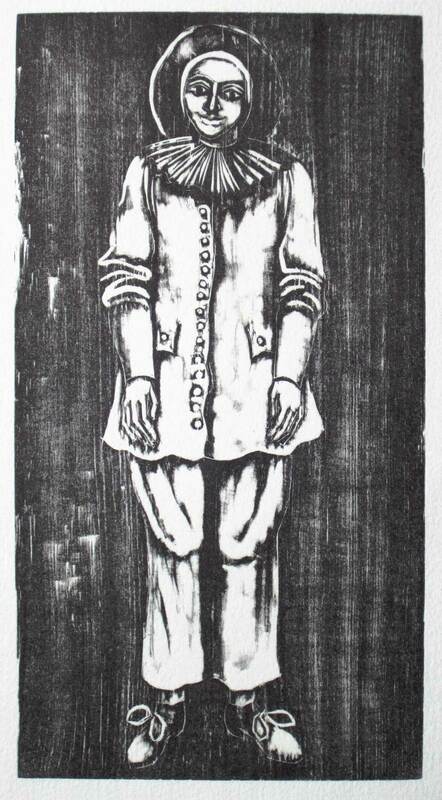 120 copies; numbered and signed by author and artist.